Source: Book provided by publisher in exchange for a fair and honest review. As per usual with the final book in any series, especially a series I adore, I was terrified to pick this book up. After loving the absolute heck out of Illuminae and then Gemina, Obsidio was super intimidating. So, of course, I stalled with picking up Obsidio. I received it at the end of February but didn't really start reading it until my spring break started in the second week of March. Aaaaand I devoured Obsidio in barely a day. Because, yes, it was AMAZING. Again we are introduced to a new set of characters with this installment, but in this one we also get A LOT of characters from the previous books -- something that I LOVED. Like, seriously. I was 500% here for Hanna and Nik and Kady and Ezra and seeing them deal with issues that are still arising for them (because can they ever catch a break??) and just how they get to the point of compiling these Illuminae Files. My favorite parts of Obsidio were with these characters I've been obsessed with for two whole books. And SPEAKING OF these characters I love, can we take a second and appreciate Isaac Grant? Because he is a fantastic person, and a phenomenal father. Honestly, the part where I cried hardest in this book (really, we all knew I'd cry at some point -- I've cried for every book in this freaking beautiful series) was when he was being supportive. I didn't expect him to be a character I enjoyed so much, but man is he a favorite. Also, obligatory mention of how much I heart AIDAN. So many FEELINGS, Y'ALL. Gaaaaaaaaaahhhhh. As for the new characters we're introduced to in Obsidio, I liked them. 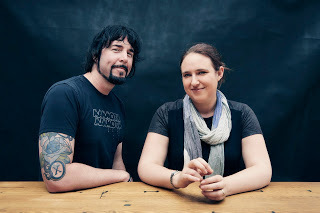 However, I don't feel like I connected to them nearly as much as I did with the cast of books 1 & 2. I think this is a ME thing, because I was so anxious to see my faves get through everything, but it took me a while into the book to really get into the characters on Kerenza. By the end of the book, I ended up with fond feelings for Rhys and Asha and a few others we met but as I said, not quite as much as I adore the others. Even so, I was head over heels for this entire book. I stalled in starting it, but once I did I was IN. Putting it down was nearly impossible (but I did it because I had to, you know, sleep...unfortunately). 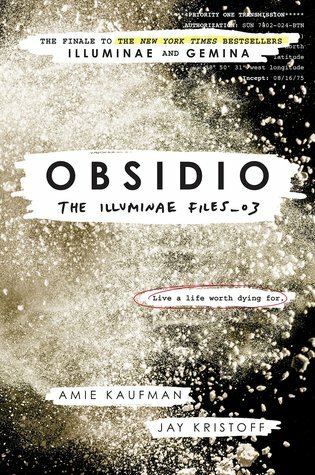 Just like with the first two installments, Obsidio was intense from beginning to end. And the lovely formatting of the book (just like the rest of the series) only made the pacing even more effective. I wish I could describe it adequately, how moving it is to be so into the story and flipping through the pages, then to come to a page that's like IT'S ME and then BAM I'm like OHMYGOSH. (That was not a spoiler, that was a vague description of a thing that I will not further explain, teehee.) But anyway, I'm sure if you've read the first two books you probably understand -- so I'll say that the fast paced intensity is no less prominent in this third book. Overall, Obsidio is one of the best series enders I've read. Ever. And the entire Illuminae Files is one of the best series I've read. Ever. I am so gone, head over heels for, in love with these three books. I cannot express enough how much I recommend picking these books up. They're a reading experience no one should miss! 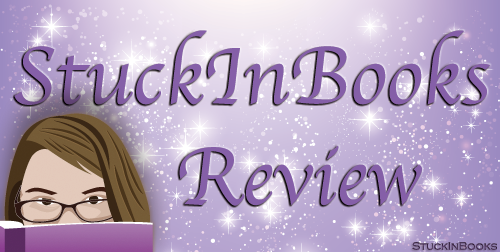 4.5 stars - A stunning conclusion to one of the best series I've ever read! - Three (3) winners will receive a copy of OBSIDIO! Enter through the Rafflecopter below!! This giveaway is not sponsored by StuckInBooks. StuckinBooks is not responsible for selecting winners or sending out prizes.